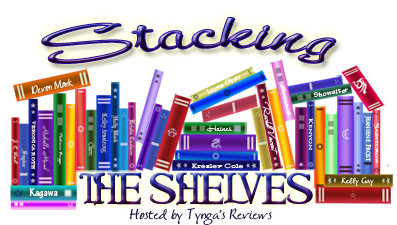 Stacking The Shelves is a new weekly meme being hosted by Tynga over at Tynga's Reviews. Stacking The Shelves is all about sharing the books you've added to your shelves - physical and virtual, borrowed and bought. 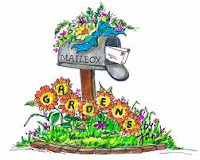 Mailbox Monday, meanwhile, is a similar meme being hosted by Sassy Brit at Alternate-Read.com this month (check out the Mailbox Monday blog to see who's hosting next month). This weekend we went on a road trip to a few used bookstores we hadn't visited in a while. Managed to find a few hidden treasures that I'd been hunting for a while. How about you . . . what did add to the shelves this week? Isn't it great when you find something you have been looking for? Used bookstores can have such treasures. My new book posts are here and here. Happy reading! I found a copy of GRRM's Sandkings. It wasn't cheap, but oh so worth it. Also picked up Insomnia by Stephen King. The addiction's really kicking in, I can't get enough of the guy. 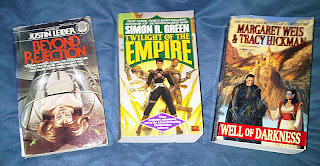 I love love love used book stores! I have a couple near me that I visit every few weeks to see what they get. =) It's so much fun, especially because the books aren't as expensive as they usually are, too. I actually haven't heard of any of these titles, but they look really awesome so I hope you enjoy them! OOh nice! 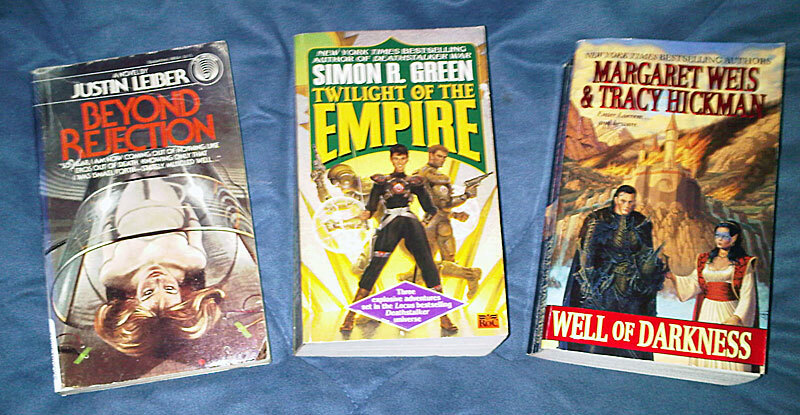 Haven't heard of those, but the used bookstores are always good for finding the classics! Haven't been to one myself in a looong time! Hope you enjoy your finds!